Spectrum Report: The Migrant Caravan on the US Border | News or Narratives? 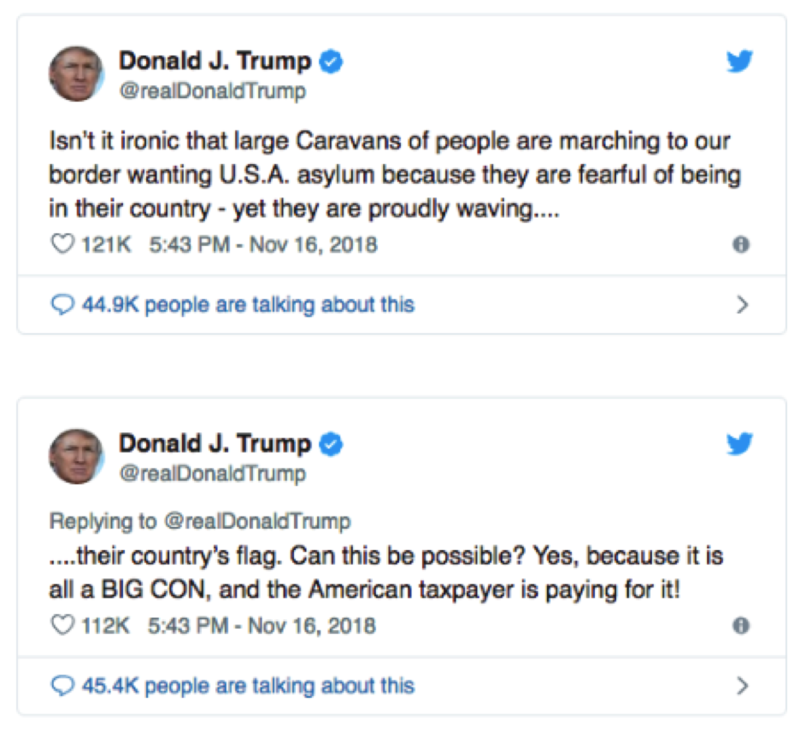 The migrant caravan narrative became a strong political talking point for both sides of the aisle during the 2018 midterm elections. However, there have been organized migrant caravans coming from Central American countries since 2017. To the organizers and migrants themselves these are known as “Viacrucis del Migrante,” or “Migrant’s Way of The Cross,” and are organized by Pueblo Sin Fronteras, or, People Without Borders. These caravans are claimed by organizers and migrants to be primarily composed of people who are fleeing gang violence. These people come from the Northern Triangle of Central America, or the countries Honduras, Guatemala and El Salvador. According to a BBC report in November 2018, the majority are young men who are fit to make the 2,700 mile journey. In October and November of 2018 Donald Trump renewed his attention towards this issue and highlighted it consistently before the midterm elections on November 6th. He brought greater attention to this issue with his Administration’s response and tweeting. 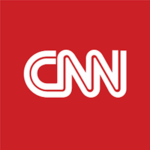 News outlets reported in turn. 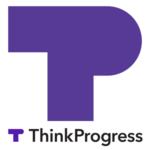 Left and Right showcase different narratives, both aligning with each political party’s perspective on the issue of immigration policy in general. The narrative of the left is pejorative of what they see as an over-dramatized and politicized issue by President Donald Trump. Left-leaning news outlets focus more on the humanitarian crisis and the main demographic makeup of the migrants themselves (primarily ordinary citizens fleeing gang violence) in response to what they see as demonization of the caravan by the right. 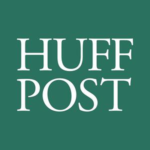 There is frustration expressed at what is perceived as politicization of the humanitarian crisis by Donald Trump for the purposes of arousing his base for the 2018 midterm elections, along with disgust for the perceived callousness of the Republican party (and conservatives in general) to human suffering of immigrants. Headlines from the left highlight strong language used by the President himself-and its disconnect with what they see as the reality of the humanitarian crisis, low likelihood of crime from the migrants, comprehensiveness of current screening methods, or the plight of the migrants themselves. There is less focus on the left than the right about potential risks to national security or existing border control, and more focus on the legitimacy of the migrants to seek asylum in Mexico and in the United States. The narrative of the right is spearheaded by the direct comments of Republican President, Donald Trump. Before the 2018 midterm elections he tweeted many times about his perspective of the makeup of the people of the caravans and his administration’s actions to stop it. 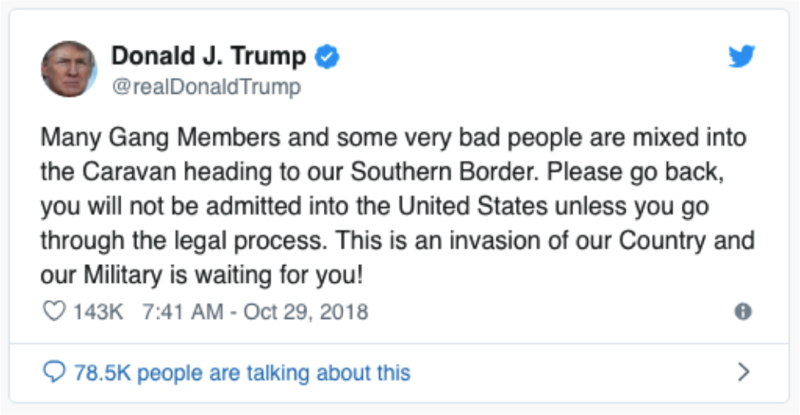 He alleged that an undetermined percentage of the migrants were made-up of criminals: “…many gang members and some very bad people are mixed into the caravan heading to our southern border.” This, he claimed, posed a threat to US security. And so he also continued to send out warnings: “Our military is waiting for you”. 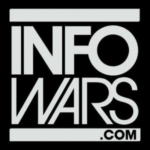 The National Rifle Association’s NRATV alleged that “a bevy of left-wing groups” were working with left-leaning billionaire philanthropist George Soros as well as the Venezuelan government “to try to influence the 2018 midterms by sending Honduran migrants north in the thousands”. 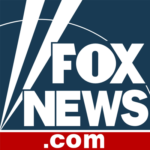 The mainstream right-leaning news outlets (Fox News) reflect these viewpoints to a certain degree, highlighting stronger words of warning, using language such as “stampede,” or “invasion” during commentary of the caravan. Headlines highlight potential threats the caravan poses, including health threats, to American citizens. Consistent with Donald Trump’s “America First” foreign policy, the right expresses less concern with the humanitarian crisis and more concern with providing safety and security for its citizens and encouraging a stronger immigration policy, especially along the US-Mexico border. Fact checkers were kept busy on this issue, with many truths and falsities being spread surrounding the topic. 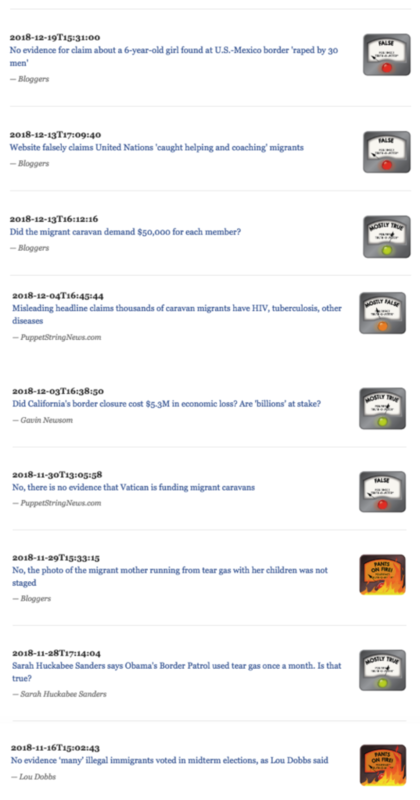 A list of results for a “Migrant Caravan” searchon Politifact can be found here, while some of the top narratives are fact-checked below. The migrant caravan of 2018 started on October 12th, 2018, when migrants from the Central American countries-Honduras, Guatemala and El Salvador-gathered at San Pedro Sula, the second largest city in Honduras. The caravan began its journey the following day, starting with 160 migrants. It quickly attracted over 500 migrants as it made its way through Honduras. One of the march coordinators, Bartolo Fuentes, explained the purpose of the caravan was to allow migrants to find safety in numbers in its quest north towards freedom from poverty, corruption, violence and oppression. This caravan immediately elicited a response from the Trump Administration. Vice President Mike Pence, on the same day the caravan left, spoke out to the political leaders of the host countries urging them to tell their citizens to stay home. By October 18th, 2018 the caravan reached 5,000 participants in Ciudad Tecún Umán, Guatemala, which borders Mexico. This same day President Trump spoke out and threatened to deploy the US military to the US-Mexico border, to keep the migrants from entering the country. On October 19th migrants and Mexican police engaged in hostilities on the city’s bridge. After these ended, the migrants were processed by Mexican authorities and allowed entry into Mexico. On October 22nd President Trump announced his administration would be scaling back aid money to the three Central American countries as a repudiation of the lack of action by the governments to stop the caravan. He also reiterated he would not hesitate to send the US military to the border to stop any incoming migrants to the US. According to interviews of migrants, by news sources such as the BBC, these migrants are traveling more than 2,500 miles from Central America to flee persecution, poverty and violence in their home countries. Many say that their goal is to settle in the US, despite threats by officials that anyone found entering the country may be arrested, face prosecution and deportation. According to figures calculated by the Mexican Interior Ministry, more than 7,000 Central American migrants have arrived at the US-Mexico border. They have set-up tents and temporary shelters at the border cities of Tijuana and Mexicali. One week before the elections the US Government deployed 5,200 active duty soldiers to the US-Mexico border to provide support to 2,100 National Guard troops already there. Is this caravan a humanitarian crisis? According to documentation by many news outlets who have interviewed migrants, they are fleeing their country and seeking asylum because of gang violence, poverty and a lack of opportunity-issues that are classified as humanitarian. The caravan itself has also fallen into this category. 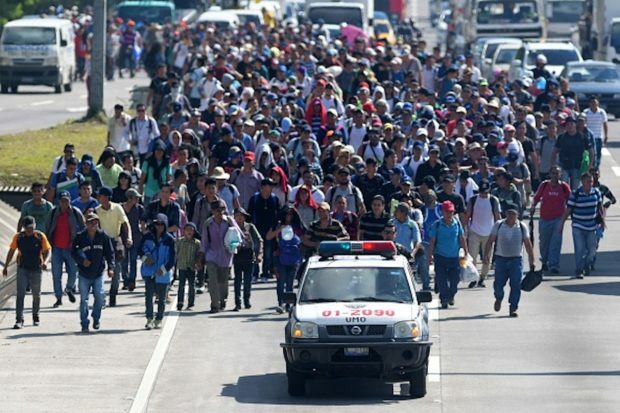 By the end of November the Mayor of Tijuana had declared a humanitarian crisis as there were over 5,000 members of the caravan staying in the Tijuana Stadium, with a designated capacity of 3,000. Is the Trump Administration’s response valid? On November 25th, hostilities broke out between migrants and United States Border Patrol agents. A member of the caravan was documented on video as throwing rocks at border agents. The agents responded with tear gas. This shut down the crossing for six hours. San Diego Chief Border Patrol Agent Rodney Scott said they did not use dispersion techniques until after migrants had struck several agents with projectiles. 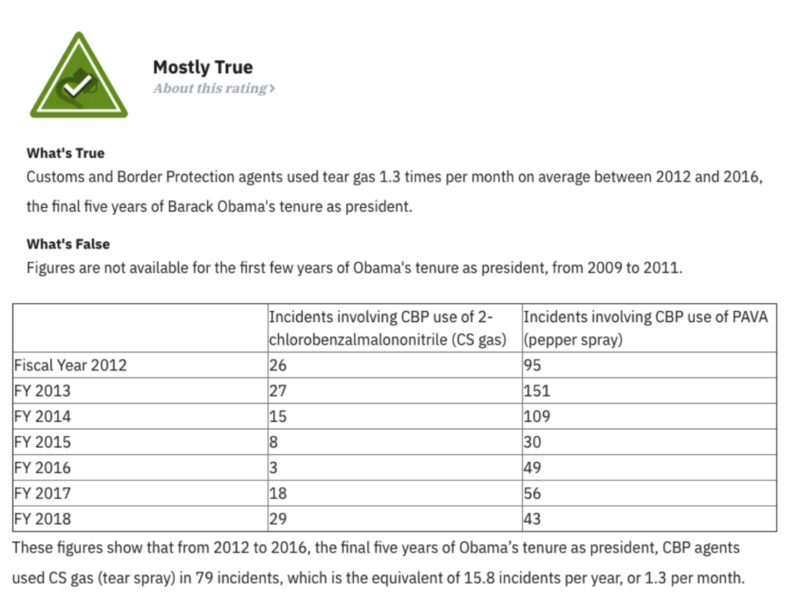 Those on the right also point to the fact that migrants were also tear gassed during President Obama’s term in office, which was rated “mostly true” by Snopes. According to the Department of Homeland Security’s twitter account, it confirmed that there were people with criminal histories in the caravan. 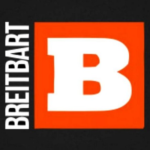 The Department of Homeland Security issued a press release on its website titled “Myth vs. 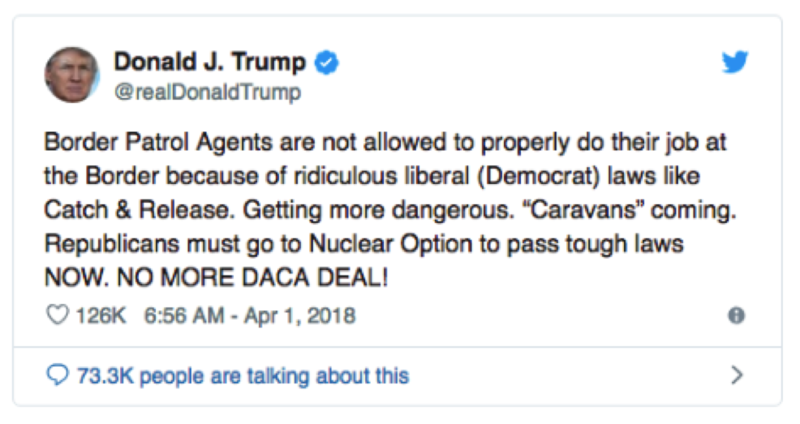 Fact: Caravan.” In this it stated that over 270 individuals along the caravan route have criminal histories, including known gang membership. It cited the Mexican Ambassador to the US and Mexican Interior Minister to back the claim. When compared to the 7,000 migrants Mexico reported flooding Mexico, this is a very small percentage. Was the Migrant Caravan issue a politically-driven issue to energize Republican voters for the 2018 midterm elections? 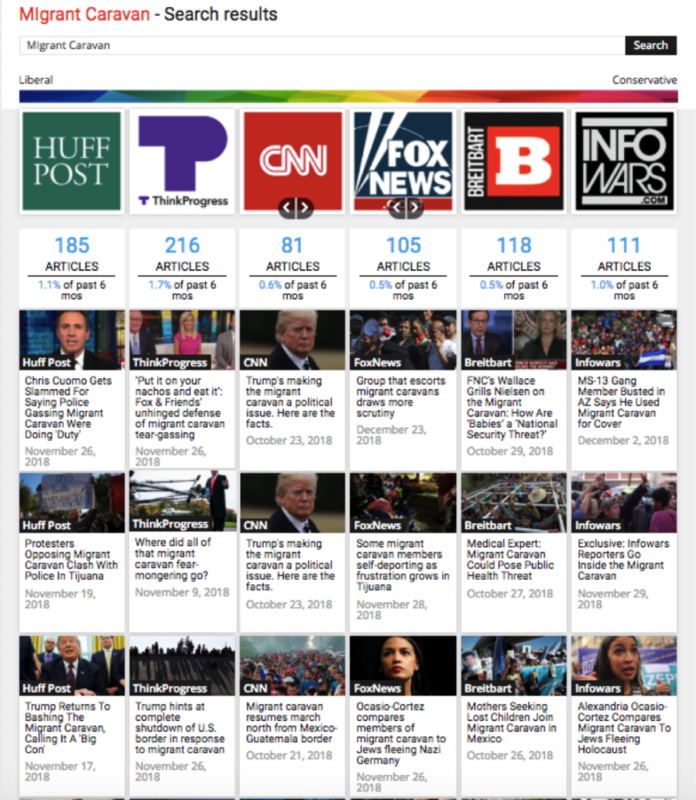 A search of Google Trends reveals that the term “Migrant Caravan” was largely un-searched until the week of October 14th, and peaking on the week of the 21st after dying off rapidly towards the end of theyear, making the topic highly correlated to the run up to the 2018 midterm elections. This does not prove or disprove anything about the caravan itself, but rather shows that it was a hot topic around the same time. Results on Google Trends for the term “Migrant Caravan” showing popularity of the search term over time. 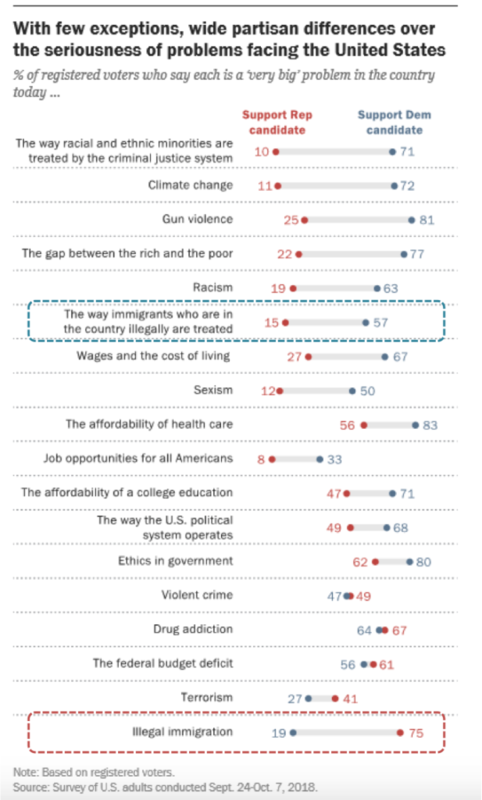 While it is difficult to verify what the internal conversations and political strategies were related to this issue, it is clear that illegal immigration is a “very big problem” to Republican voters (75% of Republicans vs. 19% for Democrats, according to Pew Research), while the treatment of those who enter the country illegally is a more important issue for Democratic voters (57% for Democrats vs. 15% for Republicans), making this a very divisive issue. One thing is clear – the narratives around the migrant caravan on the right and left fit very closely to both parties’ priorities. A deeper dive on the narratives around immigration itself in the US can be found here.